Provide comfort for the family of David Chilson with a meaningful gesture of sympathy. 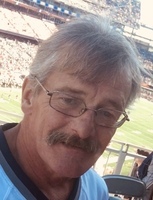 David Frank Chilson, 57 of North Adams, MA, after battling cancer, died peacefully in his home on Saturday, December 15, 2018. He was born in North Adams, MA on January 10, 1961, son of the late Frank S. and Esther (Putnam) Chilson. He graduated from Drury High School. Dave was last employed by Mountain Home Landscape in Williamstown, MA. Dave’s outgoing and engaging personality, humor, and smile were ever-present and forever on display. Always willing to drop everything to lend a helping hand to those in need, Dave’s true-heart, genuine nature, grit, and determination came through to everyone he met. Dave loved the outdoors and would spend as much of his time as possible hunting, fishing, and camping. Dave’s resourcefulness, strength, and never-say-quit attitude allowed him to tackle the most difficult of challenges, in work and life, to always get the job done. Dave and Dede were best friends. Always together, their love and devotion guided them through the brightest and most challenging of times. This special bond will survive forever. The family is carrying out Dave’s wish that there be no services. In celebration and remembrance of Dave’s life, the family requests making a donation to Pop Cares or HospiceCare in the Berkshires in care of FLYNN & DAGNOLI-MONTAGNA HOME FOR FUNERALS CENTRAL CHAPEL, 74 Marshall St. North Adams, MA 01247. To add to the Book of Memories, please visit www.flynndagnolifuneralhomes.com. To send flowers in memory of David Frank Chilson, please visit our Heartfelt Sympathies Store. Provide comfort for the family of David Frank Chilson by sending flowers. Dedede, my heart goes out to you and your family. David was a "Silver Fox". He will be missed. He is such a strong man and like I always told you, you are a strong woman. If you need anything, please get in touch. Love and kisses!!!! 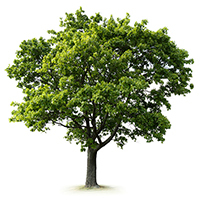 Im so sorry for your loss. My thaughts and prayers are with Dave and the family . I am so very sorry for your loss. May Dave Rest In Peace Forever. Prayers for strength go out to the entire family.